Were You Ever Chastised by Your Guru? Devotee: Śrīla Prabhupāda, is there any instance when you were chastised by your spiritual master? Devotee: Is there any instance when you were chastised by your spiritual master? Prabhupāda: Oh, yes. Oh, yes. Devotee: Can you tell us? Prabhupāda: I remember that moment was very valuable. Yes. Devotee: Can you tell us the story? Prabhupāda: Yes. I think I have said that. Prabhupāda: Yes. He became very angry and chastised me. 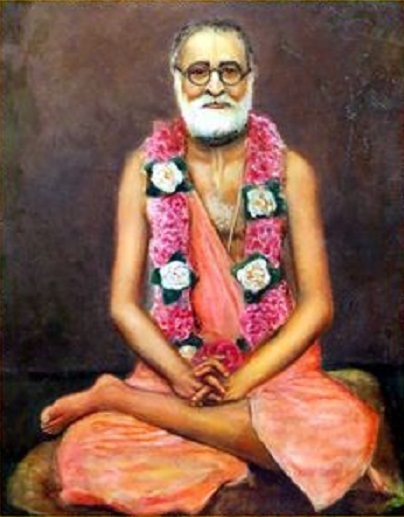 Devotee (3): Śrīla Prabhupāda, was this during a lecture by Śrīla Bhaktisiddhānta? Devotee (3): Was this during a lecture? Prabhupāda: Yes. I was not... One of my old brother, he, he wanted to speak something. So I leaned my... I immediately became... (laughter) So he chastised him more than me. Devotee (2): When Lord Caitanya chastised someone more than Advaita Ācārya, Advaita felt that He had been neglected, 'cause he had not received a greater chastisement. Prabhupāda: He wanted to be chastised, so Caitanya fulfilled His desire. One day it so happened... That was not my fault. My, another old godbrother, was... Prabhupāda (Śrīla Bhaktisiddhānta) was speaking. So I was very much fond of hearing. That gentleman, he was a retired doctor. So he wanted to speak something. He should not have done so, but... Just like... So naturally I also... And Prabhupāda saw it, and he became so angry. So he knew that my attention was drawn by him. He chastised him like anything. He was old man. Actually almost like his age. So he was paying sixty rupees in those days per month. So he became so angry, that 'Do you think that because you pay sixty rupees, you have purchased us? You can do anything and anything?' He said like that. Very strong word he used. 'Do you think that I am speaking for others? You have learned everything? You are diverting your attention.' So many ways, he was very, very angry. You see? So this is nice, to chastise. Therefore, as soon as Kṛṣṇa was accepted as guru... Śiṣyas te 'haṁ śādhi māṁ prapannam: (BG 2.7) 'I become Your disciple.' Because in the beginning there was friendly talks... So friendly talks cannot make any good advance. Talks must be between the spiritual master or teacher and the disciple. So immediately, first of all, He chastised. Aśocyān anvaśocas tvaṁ prajñā-vādāṁś ca bhāṣase: (BG 2.11) 'Arjuna, you are talking like a learned man, but you are a fool number one.' Gatāsūn agatāsūṁś ca nānuśocanti paṇḍitāḥ. That means 'If you had been actually paṇḍita, learned man, then you would not have lamented for this body.' Gatāsūn. 'The body is neither a subject matter for lamentation, either living condition or dead condition. It has no value.' This is the instruction, Kṛṣṇa's word. But the modern civilization, they are giving all value to this body, all their philanthropic work, hospitalization, and this, so many things."